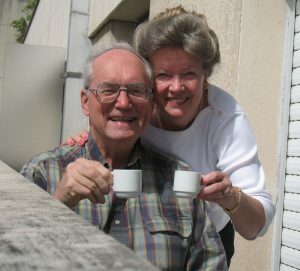 Co-founders of Volunteers for China (VFC) are David and Ann Wilson of Maryville, Tennessee. They founded this organization to focus on legal ministry in China while facilitating the placement, travel, and arrangements for Christian volunteers desiring to learn about and serve in China at almost any time and place. The Wilsons have a long history with China having been involved there since 1988, generally through a summer English program involving adults and college students. Together they have made over 50 trips to China. Ann’s first China trip was in 1988 as a participant in a “Lottie Moon Tour” led by national Woman’s Missionary Union. From 1991 to 1997 Ann taught each summer in China and traveled extensively thereafter her assignment was finished. In 1996 she was the tour guide for a WMU sponsored China tour. David’s first trip was a business trip in 1996 followed by a teaching assignment in Guilin during the summer of 1997. From 1998 to 2003 Ann and David were Volunteer Project Assistants for China for national Cooperative Baptist Fellowship. During those five years, they organized conversational English teacher teams as well as college student cultural exchange trips, managed a budget ranging from $180,000 to $230,000, arranged for travel, hotels, logistics, insurance and visas for up to 91 volunteers each year and also taught in China. Teaching from 1991 until the present, they have established themselves as “Friends of China”, a term used to describe them during national CBF’s first awareness trip to China in 2002, and VFC is a partner with Amity Foundation in Nanjing. Since 2000 they have specifically recruited and coordinated volunteers serving in Changzhi, Shanxi Province. English Improvement Programs for teachers and university students, Medical English Programs at the local medical college, In-service Teacher Training for middle school teachers, and English Camps for students and teachers are the ways that they through VFC have provided assistance in the development of this area. The Changzhi Foreign Experts Bureau has been the central government contact in arranging these programs. David was granted the “Shanxi Foreign Expert Friendship Award” in 2005 owing to his extended service in that province. 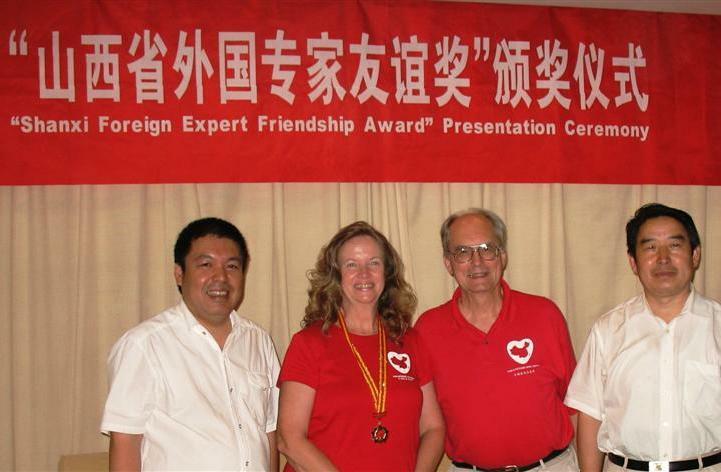 In 2007 Ann also was granted the “Shanxi Foreign Expert Friendship Award”, making them the first couple in that province recognized for their service in China. Having received these awards shows that the Wilsons have gained the respect of government leaders. One or both of them have taught annually throughout China in various Chinese colleges, universities, or other school locations since 1991 and facilitated the placement of hundreds of volunteers through other faith-based organizations from 1992 to 1997. The Wilsons have taught or coordinated teaching teams in Shanxi, Zhejiang, Anhui, Shandong, Fujian, Guangxi, Guizhou, Sichuan, Hunan, Jiangxi, Henan, Jiangsu, Gansu, Inner Mongolia and Beijing. Ann and David are active in the Cooperative Baptist Fellowship, each having served on the national Coordinating Council and David as a CBF regional moderator in the North Central area. As stated previously, the Wilsons served as the national CBF Volunteer Project Assistants for China from 1998 to 2003. They are active members of Monte Vista Baptist Church, Maryville, Tennessee. David Wilson is retired from The Dow Chemical Company, Midland, Michigan, where he worked in Global Environmental Technology, traveling to 31 different countries during his thirty-three-year technical career. Ann Wilson is retired from the Midland (Michigan) Public School System where she taught mathematics and computer programming for thirty years. For eight of those years, she taught computer programming as adjunct faculty at Delta College and Saginaw Valley University. The Wilsons have the freedom, experience, and resources to respond to the Lord’s leadership in this unique ministry. Helping others go to China, experience what God is doing there, and joining Him in a variety of ways are the ultimate goals that David and Ann have for Volunteers for China.